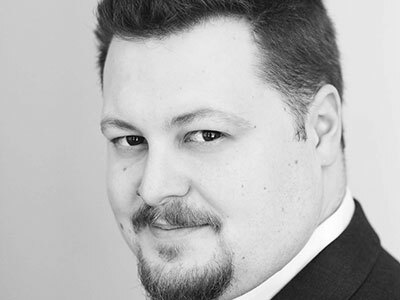 David Ireland was a member of the National Opera Studio in London during 2016/17, having previously been on the Opera Course of the Guildhall School of Music and Drama, studying with Robert Dean. He is currently an ENO Harewood Artist, where he has already sung the role of  Doctor Bartolo The Barber of Seville. Notable engagements elsewhere: covered the role of Don Magnifico La Cenerentola (WNO), and made his French debut as Kuligin Katja Kabanova  (Opéra National de Lorraine, Nancy), followed by his debut at the Opéra de Montpellier as the  Gran Sacerdote  Nabucco. In the concert hall, he has sung the bass solo in the Verdi Requiem (Warwick), Bach’s Mass in B minor (Canterbury Cathedral), Messiah (Clonter Opera), Haydn’s Creation (Bristol Choral Society), the Fauré Requiem (Esterhazy Singers) and the Gran Sacerdote Nabucco (Chelsea Opera Group, Cadogan Hall). Forthcoming: Second Armed Man/Priest  (plus performances as The Speaker) The Magic Flute (ENO); a return to France for his Opéra d’Avignon debut as Colline; and his debut at Garsington Opera where he sings Leporello Don Giovanni in the summer of 2019.